Not a great showing in the Super Six last night. Started the event on floor, typically our best scored event, only to pull in a season low score. And then followed that up with another season low on vault. They ended up repeating last year’s finish in fifth. Kudos to UCLA. They looked to be in solid third place but roared to a national championship by scoring a 10 on their last event. Peng-Peng Lee actually scored two 10s in her last two event. Glad that someone besides Oklahoma won. MaKenna struggled when the pressure was on. I think Tom is right, the team put too much internal emphasis into being perfect, who knows why. do you mean off the beam? No. Outside of the gym. She was a great lead beam worker, but her leadership was far more valuable. Is it true that our fans were screaming at the judges? I think this was in the top 12, not the super 6 that I had seen it reported. wow, I hope not. A couple things I don't understand about collegiate gymnastics. maybe I'm wrong, but I get the sense that Utah gymnastics isn't viewed favorably by other gymnastics programs. Some of that is jealousy, size of the fan base, making the meets more like a rock concert vs. a piano recital. On Friday someone hired a plane to fly around St. Louis with the Drum n' Feather flag. I'm guessing no other fan base is doing that? The gymternet which I've never visited seems to have a hate relationship with Skinner (which I don't understand). the other thing that's seems unfair is that UCLA opts to have their gymnast specialize. If one is great at the floor but weak at the vault, they'll only do 1 or 2 routines. That seems weirdly unfair. bottom line I don't understand this sport as well as I'd like to. I give the fans a pass on this one. The U hires the plane. They do it for away football games as well. The “gymternet” folks are just weird. Utah has never been liked, and much of why is unknown. There’s a false reputation that Utah’s team and fans aren’t welcoming....yet if you talk to other gymnasts they usually rave about Utah’s treatment of them. UCLA is the exception, but they also tend to forget their actions. And in the gymnastics world UCLA can do no wrong. Skinner is seen by the internet folks as being arrogant and cocky. Which is totally wrong, but they don’t really care. The Olympic trials cemented their dislike of her, since she had the audacity to retweet complimentary things said about her....and openly express her belief she should have made the team over Gabby Douglas. The actual programs themselves, not the fans, love the U. Look no further than how Elizabeth Price and BYU’s individual were treated by Utah this weekend. As for UCLA and specialists. They can choose to do that. UCLA is a “star” designation so they get athletes who dont take scholarships. The warm weather schools have an advantage over Utah. Gymnasts love warm weather. It's hard to trust a sport where referees are not supposed to be booed. The judges should be booed, and loudly, when they screw up. They should be cheered when they favor the home team. This is how sports work. Did kara eaker commit to utah? Just saw that Utah just beat BYU for the 40th straight time. Wow, that kind of puts the football streak in perspective. Great job Red Rocks! Last edited by Diehard Ute; 01-12-2019 at 07:38 AM. Wasn't the last loss at byu due to Marsden walking the team off in protest at the judging? I thought they skipped the last rotation that night, though I could be wrong. That was the first loss in 1994, the last one was by less than .1 points after several BYU athletes set season or career highs. Last edited by Sullyute; 04-18-2019 at 07:50 AM. The “gymternet” is a terrible place full of a lot of holier than thou types. What the article doesn’t go into is the way UCLA has really helped fuel things. Their attacks on Utah and Utah’s fan base have blown up, of course they leave out a lot of details. Like the way UCLA’s fans have treated opposing teams for years (albeit they had terrible attendance until recently so no one noticed) and the assistant coaches at UCLA making obscene gestures and other things at Utah. Regardless I’ve never heard anyone who actually knows Mykayla to say anything negative about her. In fact most everyone I’ve talked to said she’s an amazing teammate, especially given her insane abilities. 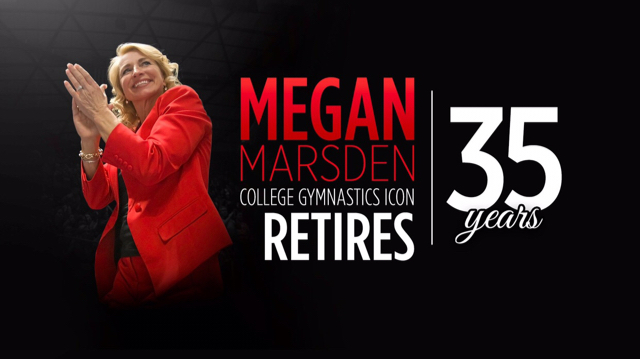 Megan slips out of the spotlight whereas UCLA’s Val sucked it up all season by announcing hers well in advanced.